Both Amaretto and Crème de Noyaux are sweet almond-flavored liqueurs. My understanding is that Crème de Noyaux is typically red, whereas Amaretto is usually brown. Other than the obvious difference in color, what's the difference between these two liqueurs? 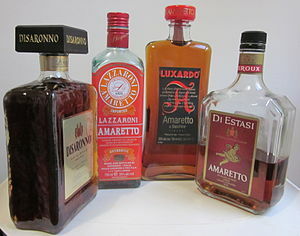 What differences in production are associated with bottling a liqueur under the name "Crème de Noyaux" versus "Amaretto"? What differences would you notice in a blind taste test? Would you be able to tell if I made a Pink Squirrel with amaretto, or a French Connection with crème de noyaux? To me amaretto tastes a little less bitter than creme de noyaux, while crème de noyau tastes a little bit more nuttier at the same time. I am not a professional connoisseur so you can take or leave what I say here. Not the answer you're looking for? Browse other questions tagged liqueur differences or ask your own question. 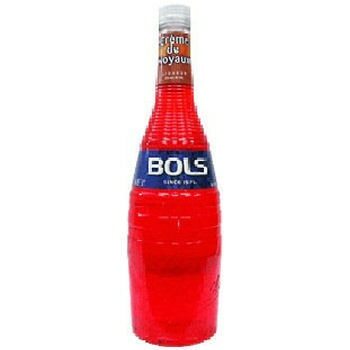 Things people put in bottles of liquor or liqueur and are sold commercially?